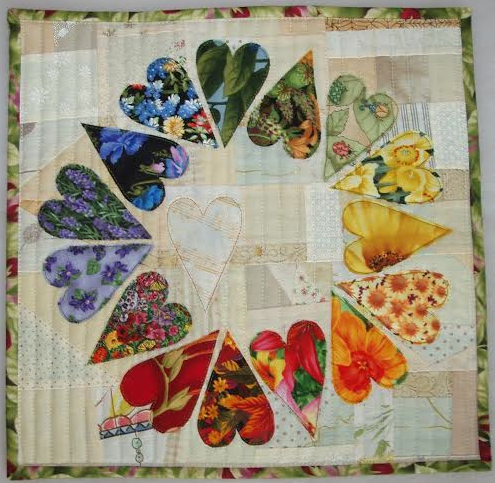 15 minutes play...BumbleBeans Inc.: Heart Wreath! 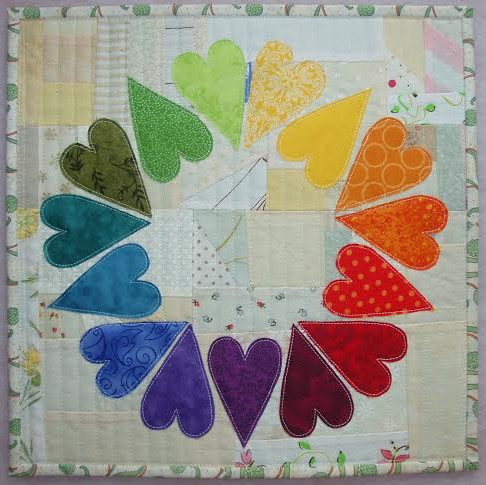 My contribution to the heart challenge is a heart wreath. But it was so much fun that I couldn’t stop! 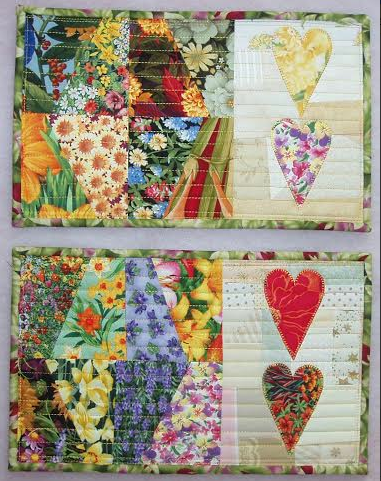 and 2 mug rugs from the rest. I really like the top one and the way you put them top to bottom beside each other. These are just amazing and beautiful. Now I have the song stuck in my head . . . Wild Thing [dah nah] . . you make my heart sing [dah nah] . . . you make everything GROOVY [dah nah] Wild Thing. These are so pretty! Love them all!